Why stress about losing your ID, dancing with a full backpack, or carrying around new merch? 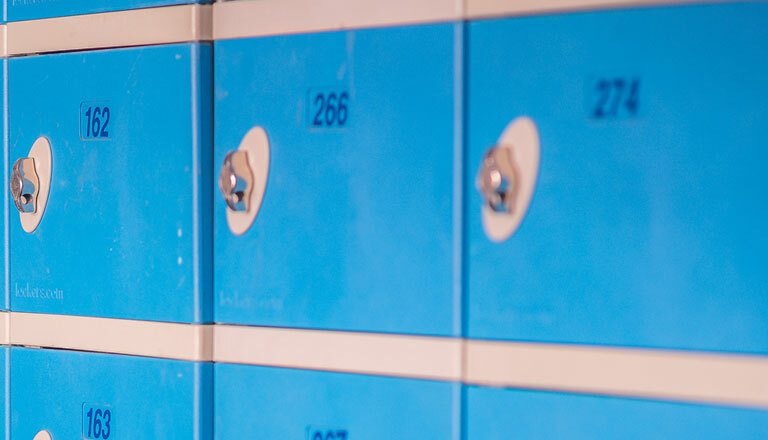 Keep your items safe and secure throughout the night—and your phone fully charged—by renting a locker. Lockers are internally equipped with a universal phone charger, so whether you’ve got an iPhone or an Android, you can juice up safely and come back for it without missing a beat. Each locker measures approximately 8″ high, 12″ wide, and 18″ deep—plenty of space for backpacks or purses. And here’s a pro tip: Lockers make a great meeting point for you and your crew.